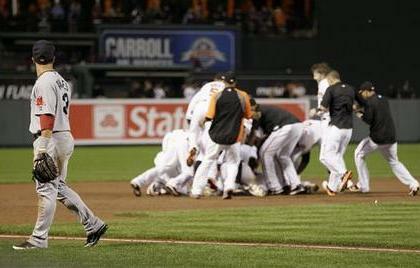 Orioles Win the 2011 World Series!! Right? They must’ve won the World Series. Look at this celebration. 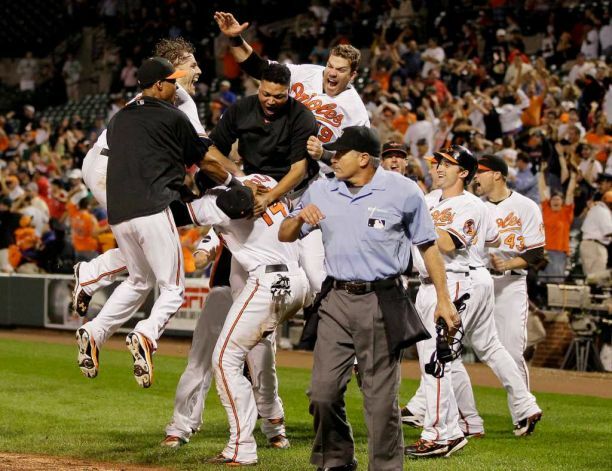 Can’t express enough gratitude to Buck and the Os for their incredible professionalism. We don’t do this without their respect for the game. How pissed is Red Sox Nation? Cracks me up. This entry was posted in Baseball, MLB and tagged Astros, Braves, Cardinals, Carl Crawford, Chris Davis, Dan Johnson, Dan Johnson home run, Evan Longoria, Major League Baseball, MLB, nl, Nolan Reimold, Orioles, orioles win, Phillies, Rays, Red Sox, Robert Andino, Tropicana Field, wild card, Yankees. Bookmark the permalink.